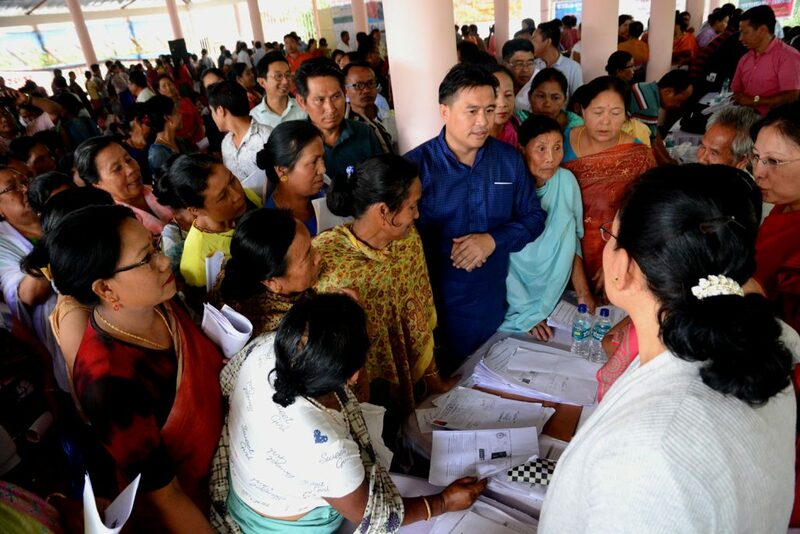 The seventh phase of ‘Go To Village’ Mission of the BJP-led coalition government in Manipur was organized at various parts of the State in presence of public leaders including ministers, MLAs and government officials. The mission aimed at identifying the eligible and deserving beneficiaries in every corner of the State and delivering government services at their doorstep was held on Tuesday with maximum participation from the people. Rural Development and Panchayati Raj Minister Th Bishwajit attended ‘Go To Village’ mission at Bashikhong Shinshuba Shanglen covering Bashikhong, Kitna Panung and Wangkhei Laumanbi villages under Bashikhong Gram Panchayat on Tuesday. Altogether 22 departments including Central Bank of India and Bashikhong Indane Gramin Vitrak had set up stalls during the camp. Departments that set up stalls include RD & amp; PR, Revenue, Labour, Agriculture, Power, Health, Handloom and Textiles, Education, Social Welfare, Vety & amp; Animal Husbandry among others. He also distributed LPG gas connections to beneficiaries selectedfrom the Gram Panchayat under the Ujjwala Scheme as part of the camp. Education Minister Thokchom Radheshyam also distributed LPG gas connections under the Ujjwala scheme, health card, weaver card to the weavers at the seventh phase of ‘Go to Village’ mission camp held at Salungpham Kangyambem Laibung Community hall and Ching Tam High School Complex of Heirok constituency covering Salungpham Kangyambem and Kangthokchao. The ‘Go to Village’ mission camp participated by various departments included Labour Department, Revenue Department, Social Welfare, Health Directorate, Power, Education Department, Public Works Department, banks and many more. Beneficiaries were provided consultation and necessary information on certain schemes of the respective department to ensure that benefits of the Government schemes reached the intended beneficiaries. A free health camp was also organized which provided free medication and minor checkups. 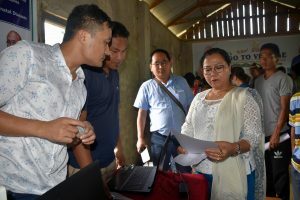 Social Welfare and Cooperation Minister Nemcha Kipgen also attended the seventh Phase ‘Go To Village’ mission held at Songtun Kuki Village of Champhai sub-division in Kangpokpi District. Songtun Kuki, Amaledara and T. Lamjang are the villages covered in this camp.